Welcome to the Grande Prairie Panther's Website! Thank you for visiting the Grande Prairie Panther Women's Hockey Club website!! The Grande Prairie Panthers have been in existence in Grande Prairie since 1987 with various names and sponsors over the years. The Panthers, by tradition, have been a high achieving team and have attained many Provincial medals and medals at the national level in the Western Shield. This season, the Panthers captured the gold medal at the Western Canadian Shield in Winnipeg after becoming Alberta Provincial Champions in March. As far as team committment goes, we are a member of the Peace Country Female Hockey League...you can check them out under our links. Want to be part of a winning tradition in Grande Prairie!! Do you want to play competitive hockey in a laid back atmosphere with a bunch of great ladies? Come on out and skate with us. September 29 - 5:15 pm at County Sportsplex. Cost: $10. If you played for a different Senior team last year, you must have a Permission to Tryout form which can be found on the league website. Please email me at kgarrett@telusplanet.net or call/text me at 780 518 2708 for more info. 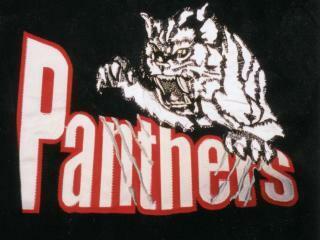 "Like" us on facebook at "Grande Prairie Panthers 2013/14"
40 visitors have signed our guestbook.